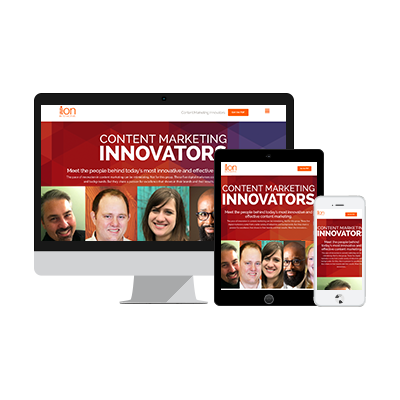 Repurpose traditional content into high-performance interactivity. Differentiate, engage, convert and measure. Repurpose tired content into results-focused interactivity. One-way content can be repurposed into differentiated two-way content. Thoughtful and useful quizzes, assessments, report cards, interactive infographics, configurators, ebooks and calculators capture imaginations and leads. 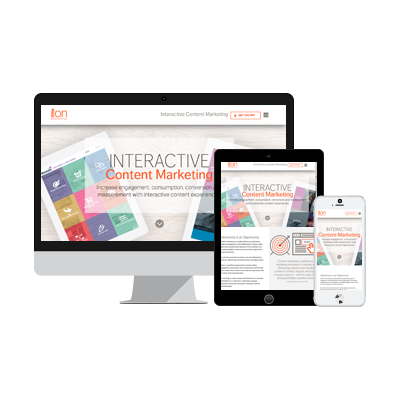 Interactivating your content is easier than you may think. Going from ordinary to extraordinary starts with ion. So let us repurpose your best practices into assessments. Your product pages into configurators. Your pricing spreadsheets into calculators. Your segmented messaging into conversion paths. 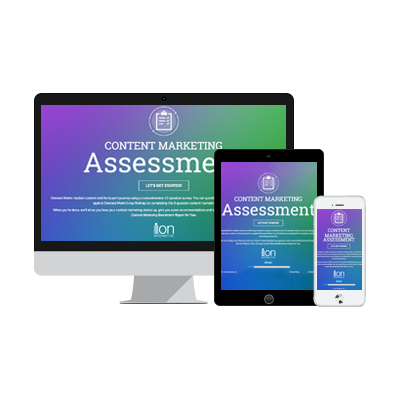 And let us turn your content marketing into measurable, higher engaging and higher converting interactivity.